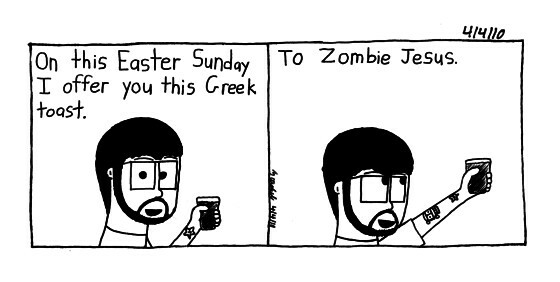 4/4/10 "Well a Greek said it"
Taking a break from the storyline to wish everybody a happy Easter. "What a waste of a day, such a waste of time. I'd never admit to say. That the fault is mine. I'm never too far away, I'm never too close behind. These songs are my way to keep you in my mind."